CaryCitizen is proud to be a place where members of the community can exchange opinions and information. Use just your first name if you like. Your email address will never be published. Totally anonymous comments are generally not published. Publication of all comments is at the discretion of the Publisher of CaryCitizen. Comment spam is a business or commercial link inside the comment. Mostly, this is not a local problem. Our spam filter blocked 1,324 spammers this month alone. 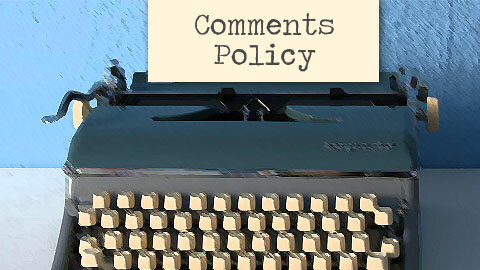 To preserve the respectful tone of community commentary, CaryCitizen actively moderates the comment stream. We welcome dissenting opinions, even sharp debate. We just ask that everyone be polite. After all, we’re neighbors. Thanks for commenting on CaryCitizen! Illustration adapted from a photo by Marco Tedaldi. Q. How long should a comment be? A. It can be any length. But short and pithy is good. Q. Can I include links? A. Yes, as long as they are not commercial. Example (Do): More info on TownofCary.org. Q. What kind of comments do you generally ban? A. Gloating, mocking, insulting, threatening, slanderous or argumentative. Q. What do you mean by argumentative? A. If you’ve said it already, no need to keep harping on the same point multiple times. Q. Who moderates the comments? A. The editors and publishers of CaryCitizen. Q. If my comment has been banned, can I comment again? A. Sure! Rephrase your point and give it another try. Q: Do I have to use a valid email address? A: Yes, a valid email address is required. abc@gmail.com doesn’t cut it. Your email address is never be published. A: A valid email address allows us to screen out spammers and serial posters under different aliases. Q. How come some commenters have a little picture next to their name? A. That’s called a Gravatar. Get one.